Let’s face it. Beyond the initial romance and fireworks, marriage boils down to real hard work and commitment. The differences that so attracted you at first will turn into opportunities for rifts, blame, and fights. The sparks that once flew will settle into a whispering ember. The forgiving that once came easy now becomes a lot harder. They often say familiarity breeds contempt, and I sometimes see that in my own marriage too. How do we break out of that cycle, and change that familiarity into something good? 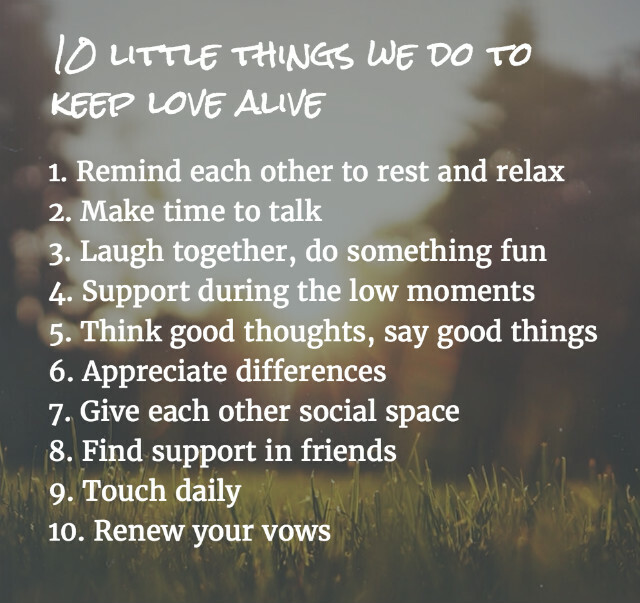 Here are 10 little things we do that has helped us so far. Some days once the kids are in bed, the hubby gets on the computer. And I do the same. Occasionally he reminds me to shut down, relax with him on the couch and watch TV, or have a light supper together. It’s nice to just sit together and chat after a long day, even if we don’t talk about anything serious. During a recent couple retreat, we made up a rule that anyone who talks about the kids first gets a demerit point. At the end of the retreat, we tallied points and the one who lost had to buy a nice treat. I have to say, it was very difficult to have a conversation without bringing up the kids! But it forced us to focus on each other and not get distracted. I sometimes find it easier to connect while jogging, having a meal, or enjoying the sunset. So find an activity (simple is best!) that works for you both, and start chatting and bringing each other up to date about our lives. When was the last time you did something fun/new? Make time to do new things together; maybe learn dancing, pottery, golf, or travel to new places. 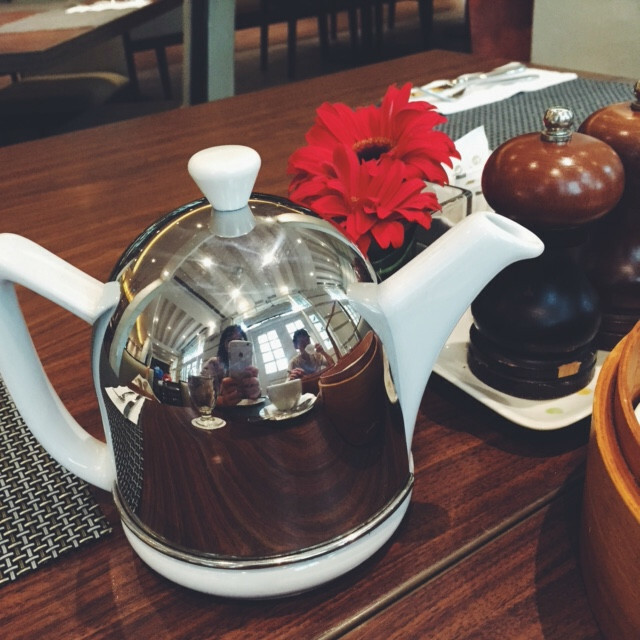 We like to check out new cafes and restaurants. And sometimes, we go on a dessert date in the spur of the moment. We share a wunderlist of places to check out, so whenever we come across anything interesting, we just add it into the list. It certainly helps on those days when we don’t know where to go! The more we think about the good things, the more we’ll actually say it. The more you say it, the more affirmed the other person feels. Words are important to me, and I try to remind the hubby to be kind with the words he chooses to use. It takes practice, but we’re getting better at it. Sometimes I wonder if I’ve married an alien from Mars. He’s so different from me that I often struggle to comprehend it all. But…I remind myself of those times his different perspectives have helped me through difficulties, and it helps me to appreciate him better. On evenings when he has catch-ups with his friends, I cover for him. On some weekends, I may attend some short courses or meet up with friends too, and he covers for me. It’s healthy for us to each have our own social space. Plus isn’t it better that we ladies have someone else besides the men to air our thoughts /emotions with? A shared community is helpful as a couple needs accountability, trust, and encouragement when the going gets tough. I found this to be one of the biggest struggles as young parents because our leisure / social time shrank during those years. Thankfully we managed to keep in touch with some couples in church, and also with an older couple who walked us through pre-marital counseling. I often tell him I wish we had a couple mentor, people we can emulate and learn from, and navigate life with. But I think God has provided us with many godly figures to learn from too. By this I mean, hug, kiss, cuddle, or give a shoulder rub. Of course, sometimes these lead to more physical intimacy, which is a good thing. These days, I find the man hugging the kids more often that me, so I let that be a visual reminder for me to hug him more, and not run into deficit in that department. We renew our vows every year on our anniversary. Every time I say my vows again, my spine tingles and I get transported back to that fateful day when we were wed. It’s a simple act that doesn’t take more than 5 minutes, but it reminds us of how sacred marriage is, and helps us want to be better at it. So there you have it. Our 10 little things. It’s really the little things, done often, that adds up to a great marriage. 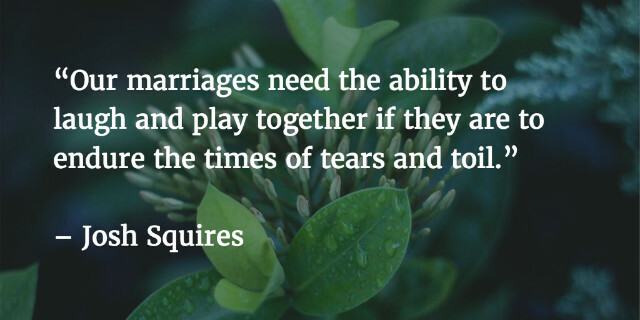 What has helped to make things work in your marriage? Do share with us in the comments below! Some moons ago, I wrote a piece sharing 20 reasons why you should lug your kids on holidays. Today I thought it’s time to do a piece on reasons why you should do the opposite. The hubs and I just came back from a trip to Phuket and I must say it’s made quite the difference in the way we treat each other and communicate. So yes…this post is inspired by that. 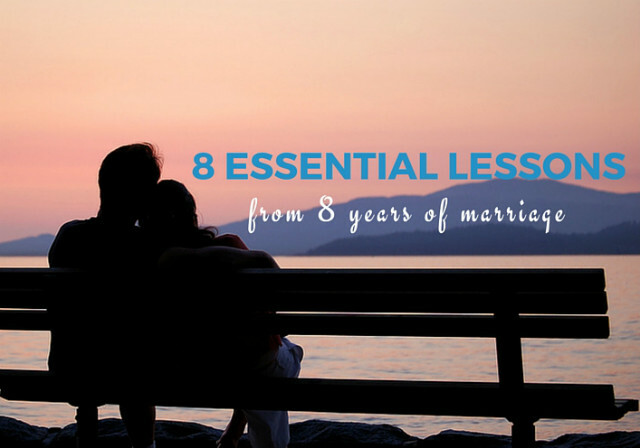 It’s easy to lose touch with your spouse amidst the stresses and busyness of daily life. Work demands, kid demands, and so on can really drain the energy and quality of the marriage relationship. Taking time to intentionally draw close to each other – emotionally, mentally and physically – is really necessary in today’s context. The trick is to leave the phone behind or forget about asking for the password to the hotel’s free wifi; instead take the time to just focus on each other. When the kids came along, I recall being so caught up in the demands of child-rearing and devouring all the parenting books with a vengeance. Now that they are a tad older, and we can breathe a little, go on date nights every fortnight, etc etc, I find myself seeking out more marriage-related books and wanting to invest more energy into building my marriage. I think it’s a normal process that we go through when kids enter the picture. Their needs are pressing and their voices are loud. But we also need to remember that marriage came first, then kids. There are times I’ve shelved a discussion I’ve been meaning to have just because of lack of time or mental energy to deal with it. But sometimes the conversation is important enough for you to plan ahead and to get it off your chest. For instance, if there is a family issue that’s been bothering you, and you don’t know how to resolve it. When you’re relaxed and rested during a holiday, it might just be the best time to deal with it head on, in partnership with your spouse. 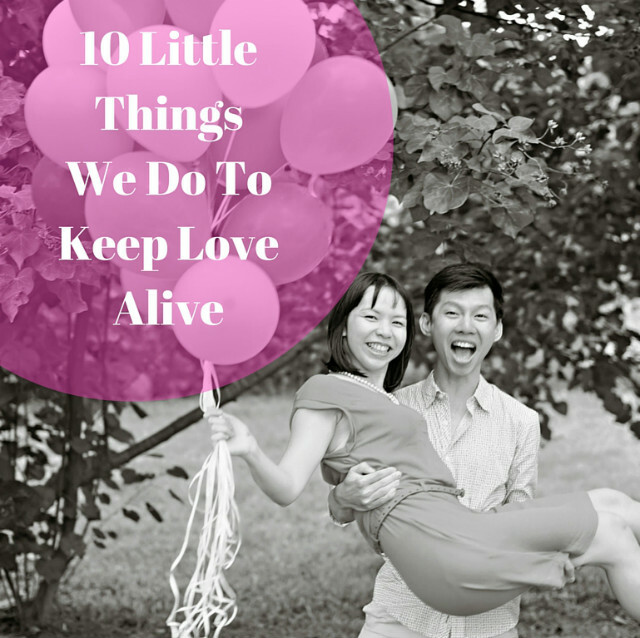 When was the last time you had fun with your spouse? When you could laugh at each other, and just do wacky, silly things together? A holiday provides you with ample opportunities to go on exciting mini-journeys and day trips, and seize the day and do (or learn) something new with your mate. Of course, physical intimacy is an important part of the whole package. For a couple of days you get to be like crazy honeymooners who are madly in love. Need I say more? An idyllic resort getaway provides an ideal setting for married couples to work through a rough patch, to hone their communication, and to seek restoration of friendship, love and trust. It’s no wonder that lots of churches organise marriage retreat programmes to help their members work through and resolve marital problems. 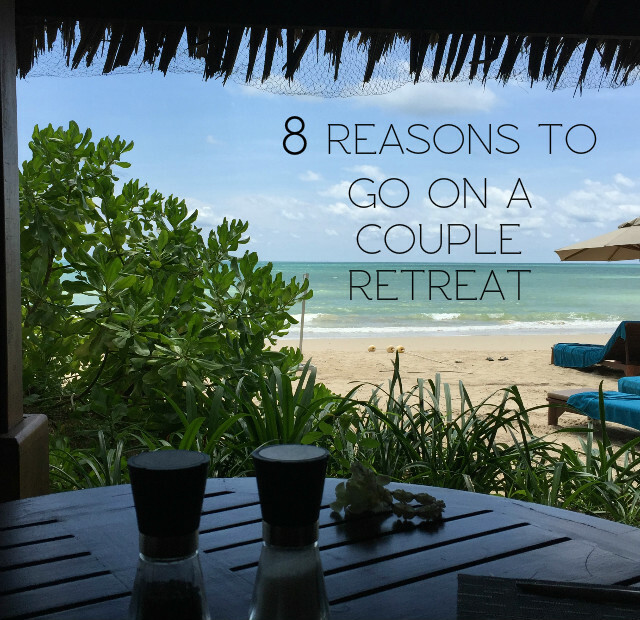 You don’t have to wait for a big issue to arise before retreat-ing as a couple. Taking time off regularly helps build a healthy loving relationship, and that should put you in a better place to deal with life’s hurdles as they come. 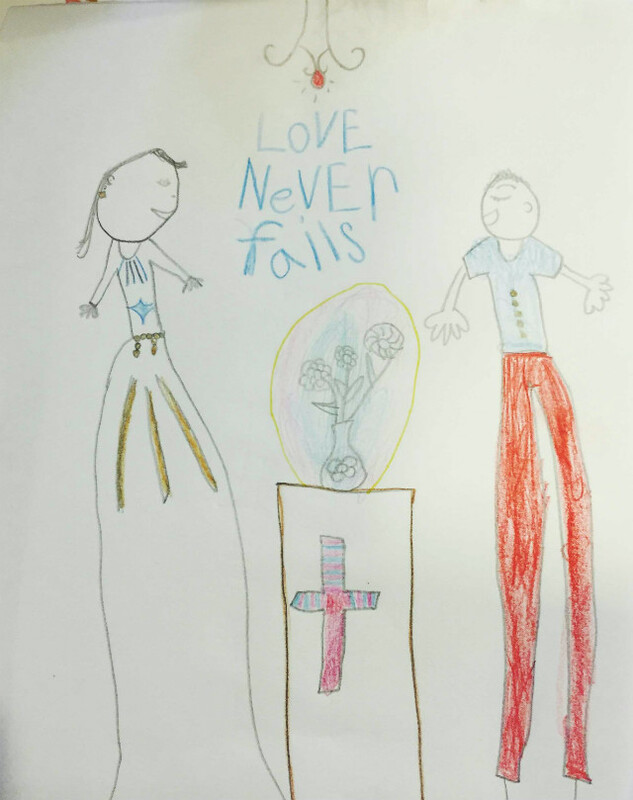 What are our goals as a family? What steps do we need to take to align everyone to these goals? Which activities do we take on, and which do we say no to? Most families these days have to deal with very hectic routines and schedules. We all become great do-ers and runners, but it’s easy to lose sight of the big picture. Time is a precious resource, and we want to invest it on things that matter. In order to know what matters, and what doesn’t, it’s essential to take a step back to evaluate your purpose and goals, and to plan concrete steps on how to achieve that ideal life for your family. Parenting is a life journey – people say it gets easier but I think the truth is, there will always be challenges; they just change from stage to stage. One thing is for sure. That we’re all in it for the long haul. And every seasoned sojourner will tell you how important it is to rest and take pit stops at regular points, in order to finish the race well. What do you love most about going on holidays sans kids? I’d love to hear your views!